Love the way the butterflies have been used for the letters. Very pretty. Very Di and very you Cath. this is very pretty. lucky you cath. What a lovely idea! 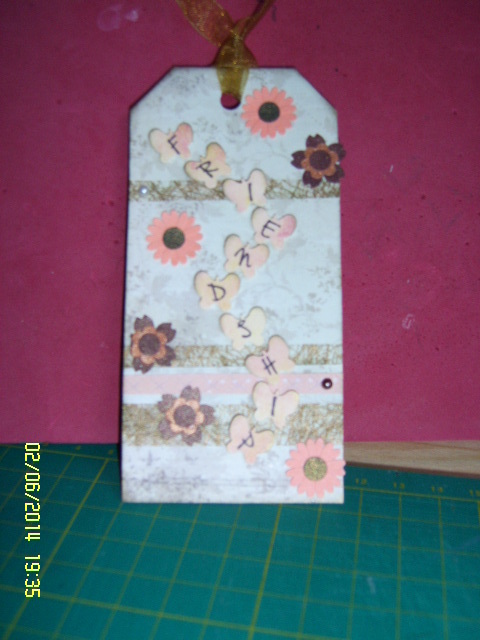 Very pretty tag, and love the flowers, too.